Annabeth Chase Thoughts. . HD Wallpaper and background images in the Percy Jackson & The Olympians Bücher club. lol!!!! grover did u just eat my maps!!!!lol!! I love it!!!!!!!!!!!!!!! Who cares what everyone else says!!!!!! I"m with greenstergirl! It rules! Guys it"s not lame! i think she looks prety!I"m with greenstergirl it"s one of the best! PICK PERCY! PICK PERCY! PICK PERCY! PICK PERCY! 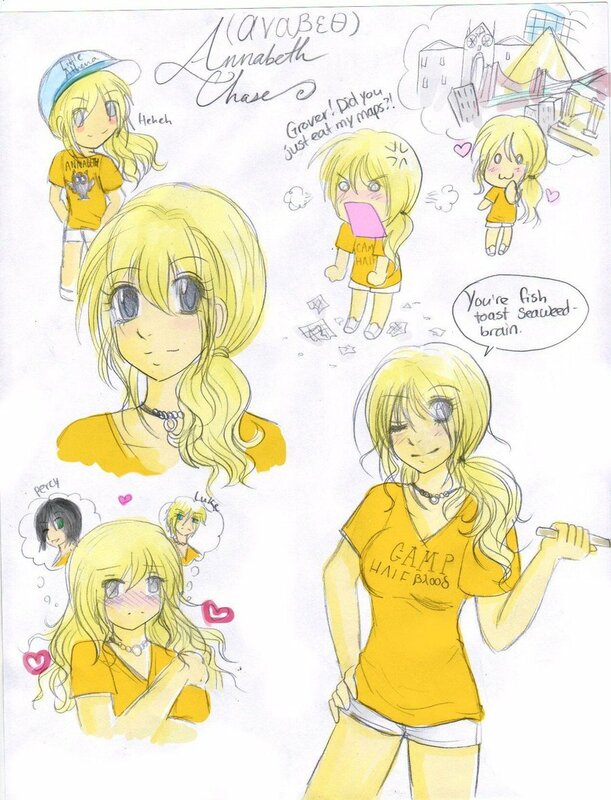 i hate it...... annabeth doesn't have huge you-know-what-i-means. that is like, soooooooooooooooooo good! i can nvr draw that good!!! omg i wish i had u for an art teacher!! i luv this pic!! i luv this pic!! i luv this pic!! i luv this pic!! i luv this pic!! i luv this pic!! i luv this pic!! i luv this pic!! i luv this pic!! i luv this pic!! i luv this pic!! i luv this pic!! i luv this pic!! i luv this pic!! i luv this pic!! i luv this pic!! Did I mention....... that.......... i luv this pic!! ?? i also like the pic of "Grover! Did you eat my maps?" lol soo cute! did i tell u i luv this pic? i love annabeth and percy's relationship so i hate how annabeth thinks about luke in the picture percy is her boyfriend! and it better stay that way! and i agree with other people she is a tomboy she doesnt wear bootyshorts and she doesnt have big unmentionables other than that great picture! Niiiiiiiiiceeee!! I like the 1 when shes thinking about Percy and Luke!Hilarious!